Archives for May 2017 | Khelmart.org | It's all about Sports. 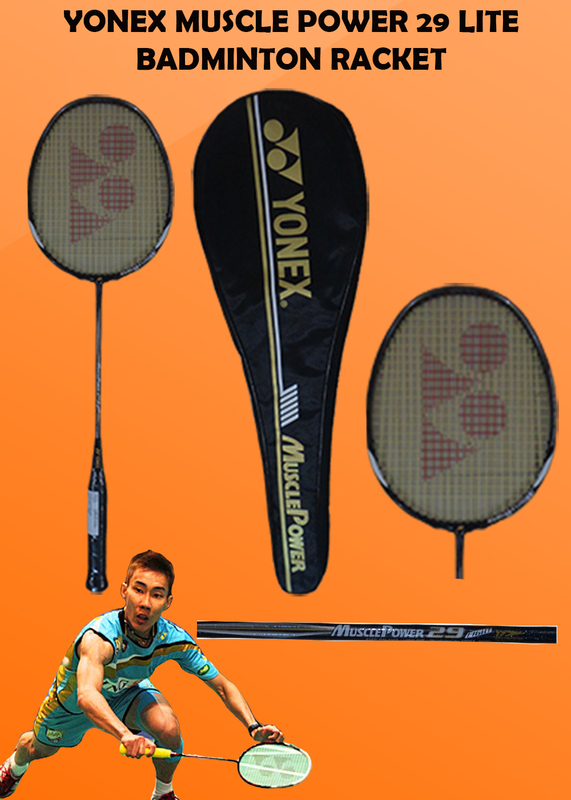 We all know that Z force II is an upgraded version of traditional Z Force racket used by Lee Chong Wei. New Z Force II comes in black base color on which blue color graphics are used. Yonex VT Z Force 2 is no boube a powerful racket when we tired it in court. 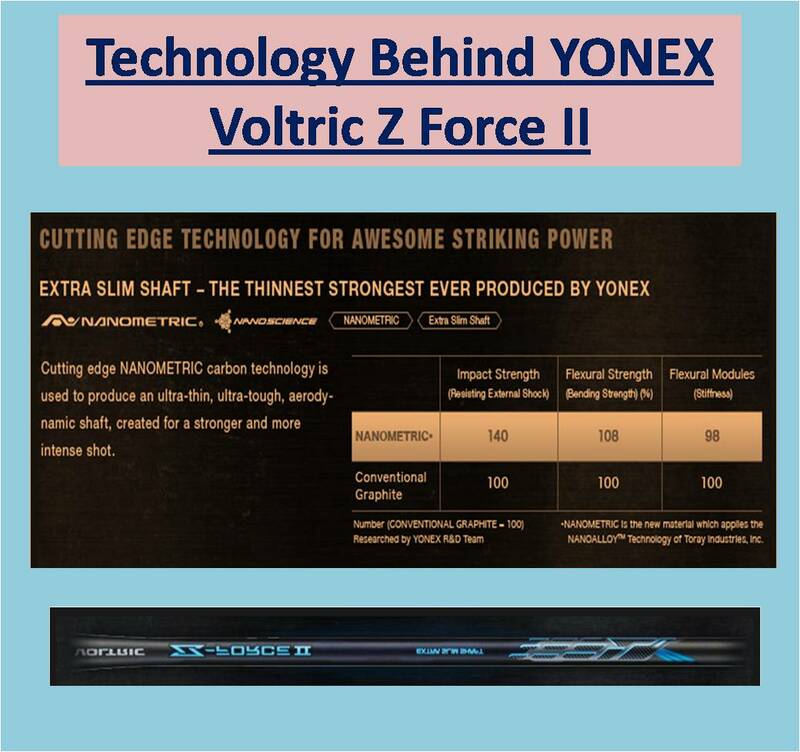 WIth latest material and state of art manufacturing technology , Yonex developed new frame designed which gives extremely powerful shots from 3rd line. We could clear the shots from 3rd line with minimum effort. Yonex used compact frame and you can feel the different on court. Earlier version (Z force ) was equipped with larger sweet spot as compare the ZF2. SO we faced some power losses for mis hits. However ZF2 aerodynamics is better than ZF. So we observed massive swing speed and enjoyed it from 3rd line. Racket maneuverability is improved which helps in placing better drive and cut shots from mid court. Overall Head size is less which gives better swing speed so we place fast cross corner shots. Thin shaft provided better repulsion . Extra power is observed in drives. 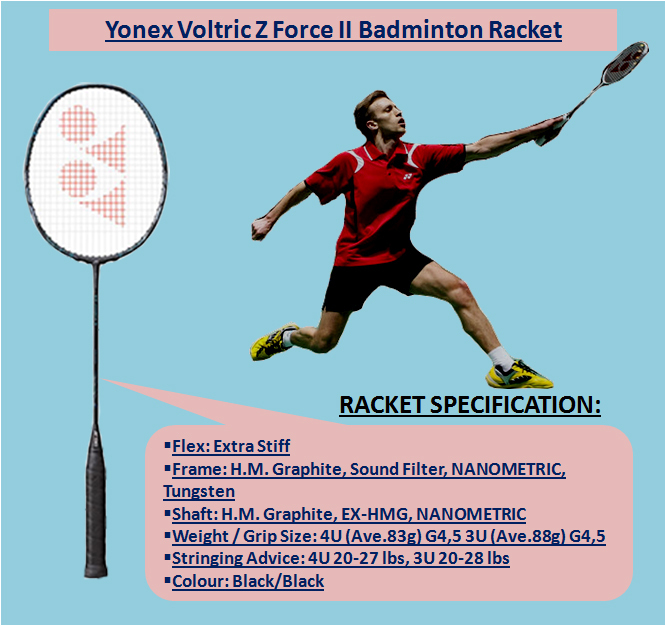 Yonex Voltric Z Force 2 is equipped with powerful & compact frame , slim shaft , improved racket balance. All together gives superb racket for powerfull hitting.When we tested the racket on court than found the extreme power (As expected from Yonex ZF Family rackets). Shots clear is effective and accurate. Out of 20 shots , all shots bang on target. Its compact frame , thinner shaft provide better racket swing. We observed better maneuverability which helped in quick returns. 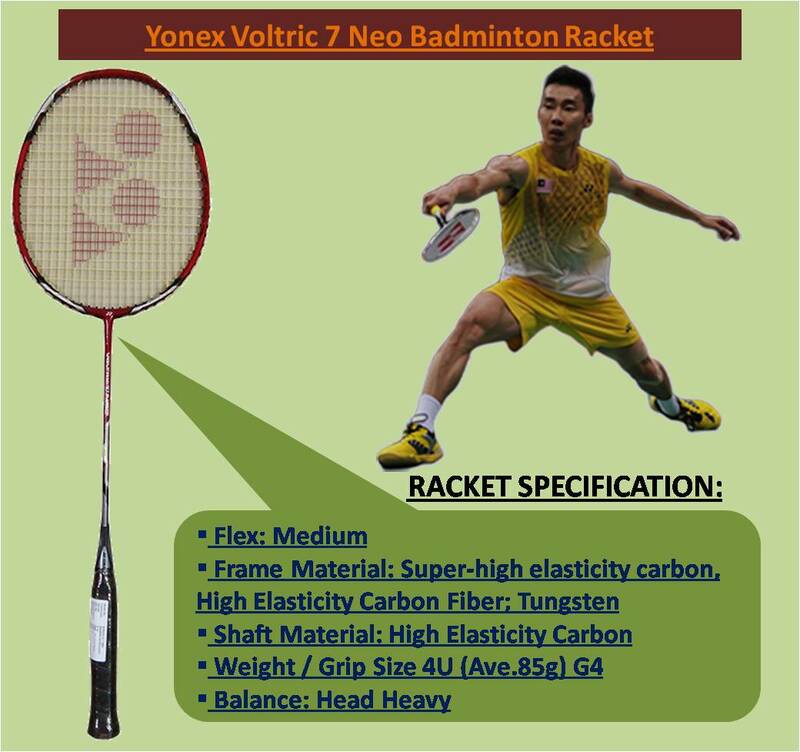 With any doubt , Yonex VT ZF2 is most powerful racket in complete Yonex VOltric series. 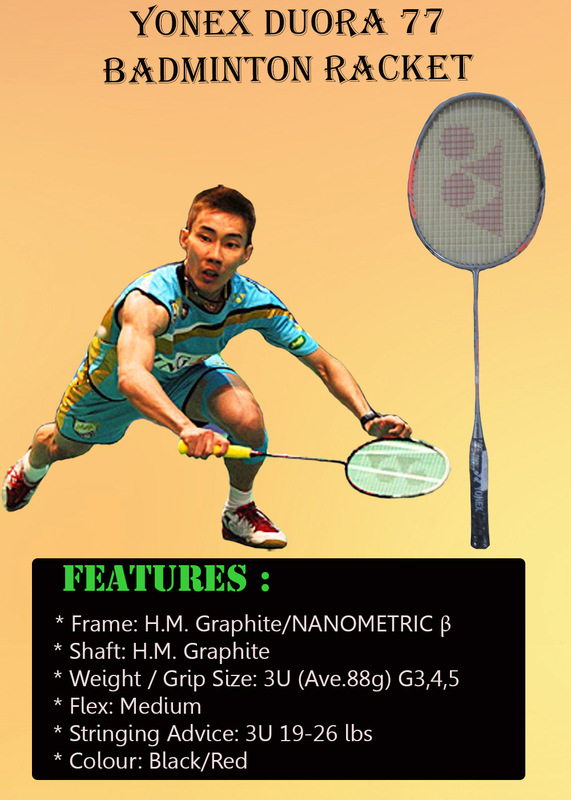 Its frame , racket balance , Shaft stiffness and overall racket dynamic will definitely liked by attacking game type. 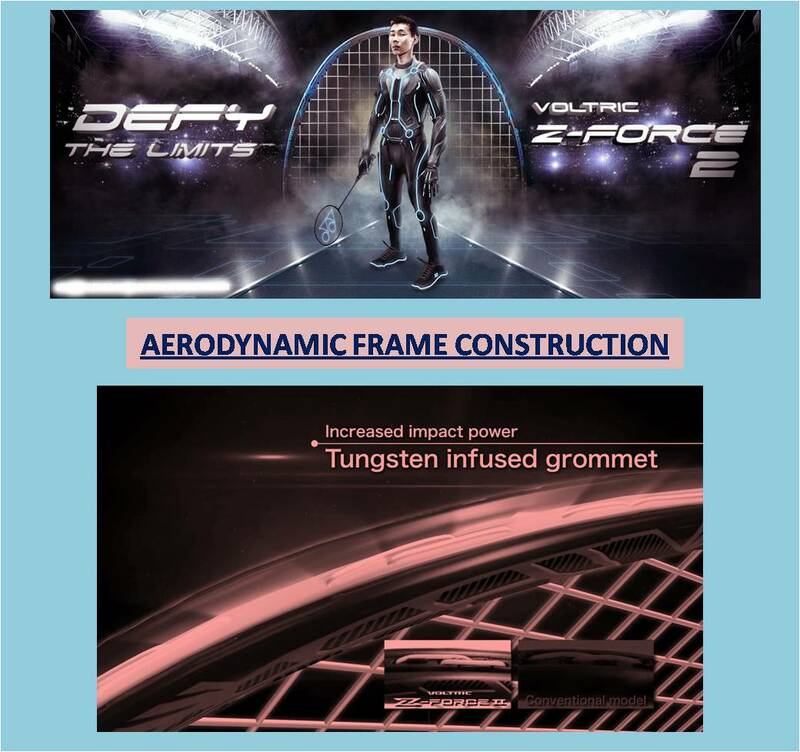 Again , imrpoved aerodynamic of frame will help in defense also. 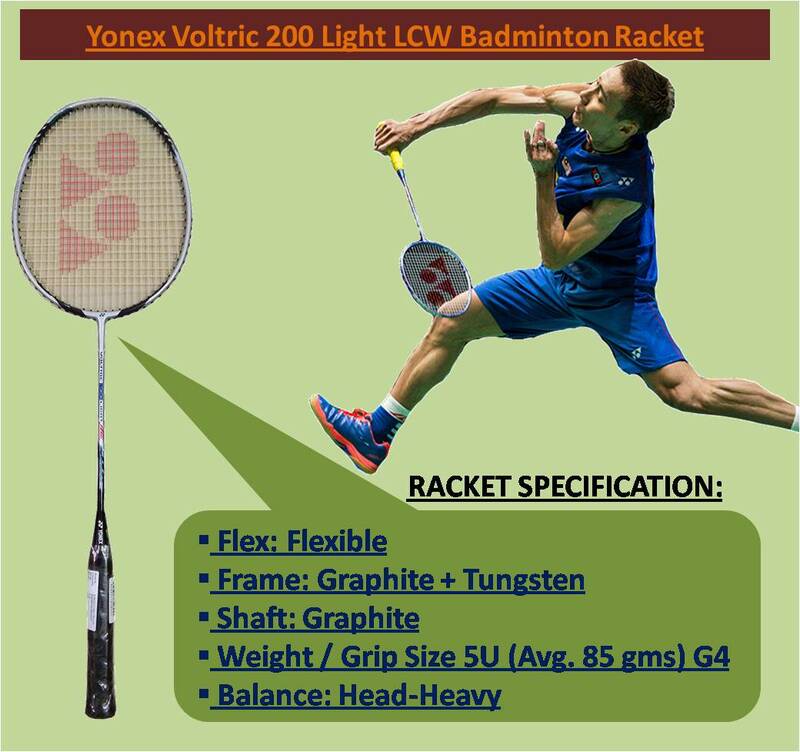 Yonex Voltric 100 Light LCW is a latest launched in 2017. Similar to Voltric Ld 100, this is a lighter version. Just imagine with Tri Voltage System and head heavy configurations, player will get the racket with 75 to 79 gms only.Racket is developed with signature style of Lee Chong Wei(LCW). Developed with Tri Voltage System which gives incredible power on shots with stable racket head (Thanks to T ankour Joint). 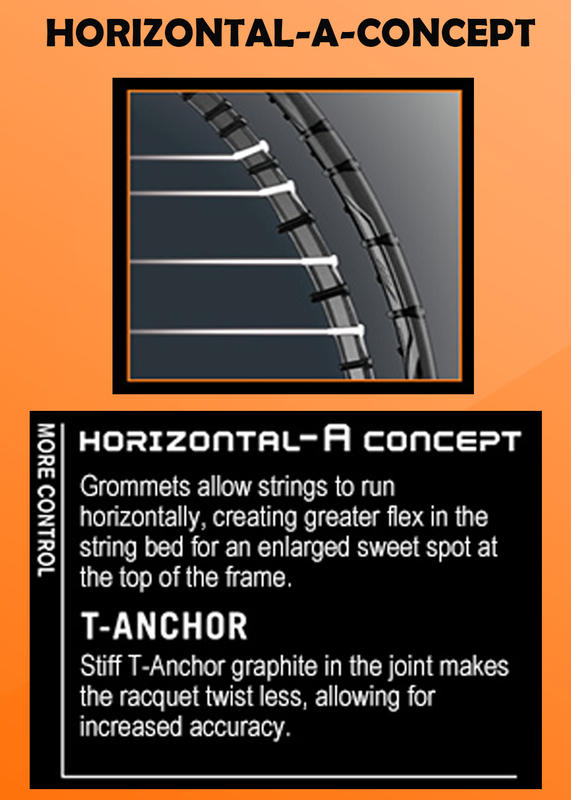 Further , improves aerodynamic of the frame gives less air resistance which results into killer swing speed. 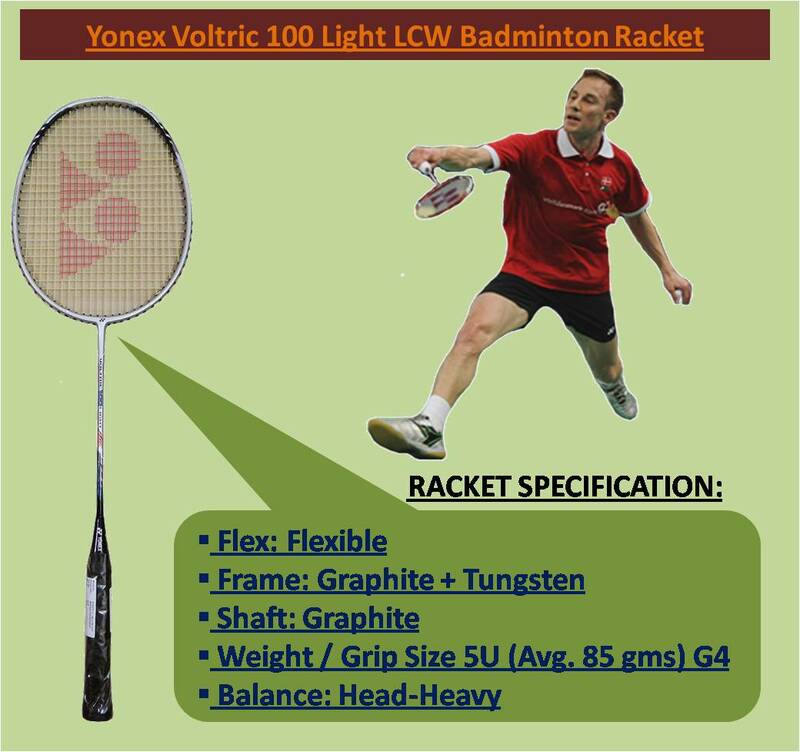 Yonex Voltric 100 Light LCW is a unique combination of power and control. Voltric 100 Light LCW is a head heavy configuration racket with frame made of Hm graphite & tungsten while shaft is made of graphite. It is a flexible shaft racket which generate optimized repulsion and power.The Main USP of the racket is its weight. 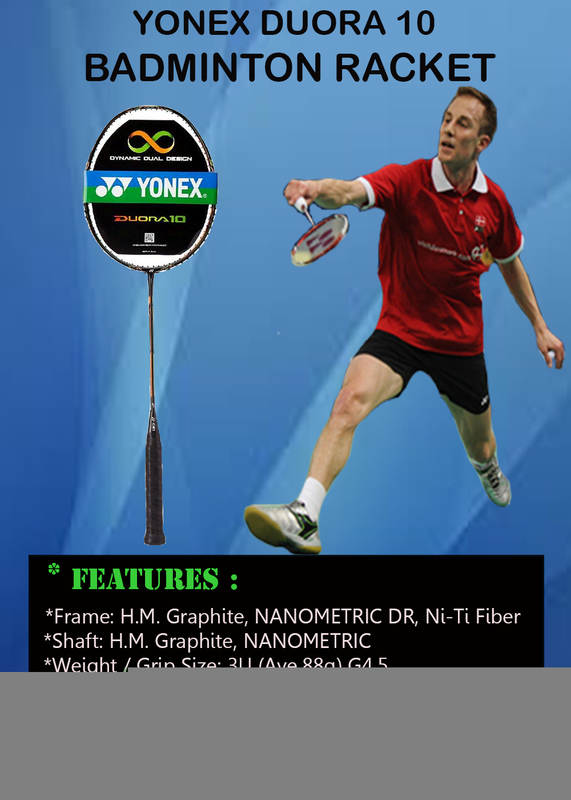 It is feather light racket with 75 to 79 gms of weight. Player who wants to improve the game with latest racket design can try this Yonex Racket. 1.Weight of the racket is around 75 to 79 gms. 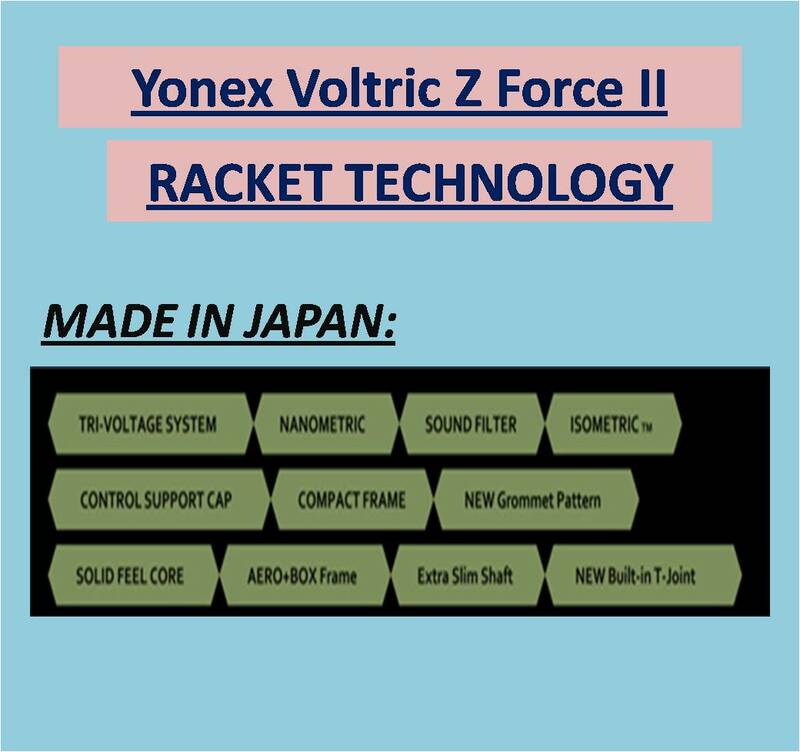 2.Tri-Voltage system is Yonex trademark technology for Voltric series which is designed to deliver power in smashes while at the same time player will get fast racket handling as well. 3.Player can put 19 to 24 lbs string tension (recommended string: Yonex NBG 99). 4.Built in T Joint technology gives stable T Joint section which helps in joint stability and result into accurate shuttle placement. 5.Racket flex is flexible which gives good repulsion for fast returns. 6.Voltric 100 light LCW is developed with isometric frame shape. This type of shape gives enlarged sweet spot. We all know that with enlarged sweet spot player can hit off center shots with more power. Voltric 200 Light LCW is a head heavy configuration racket with frame made of Hm graphite & tungsten while shaft is made of graphite. It is a flexible shaft racket which generate optimized repulsion and power.The Main USP of the racket is its weight. It is feather light racket with 75 to 79 gms of weight. Player who wants to improve the game with latest racket design can try this Yonex Racket. 6.Voltric 200 light LCW is developed with isometric frame shape. This type of shape gives enlarged sweet spot. We all know that with enlarged sweet spot player can hit off center shots with more power. 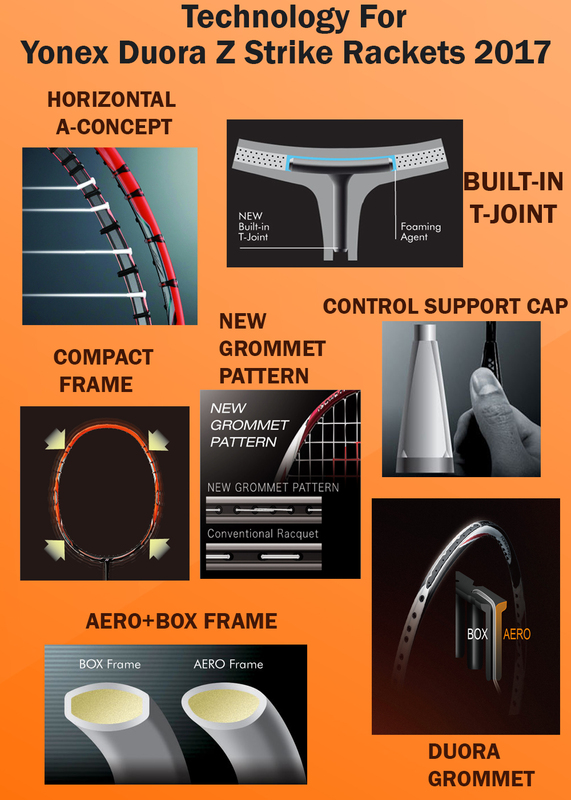 7.Cross section of frame is designed with Aero-Box frame. 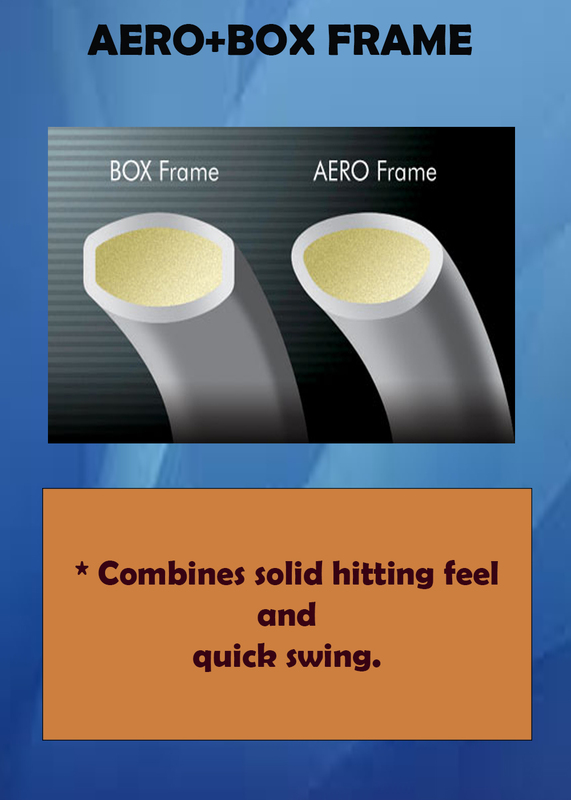 Cross section with Aero-Box type shape gives better aerodynamics which results into better swing speed. Racket is manufactured with advanced material called as Hm graphite. 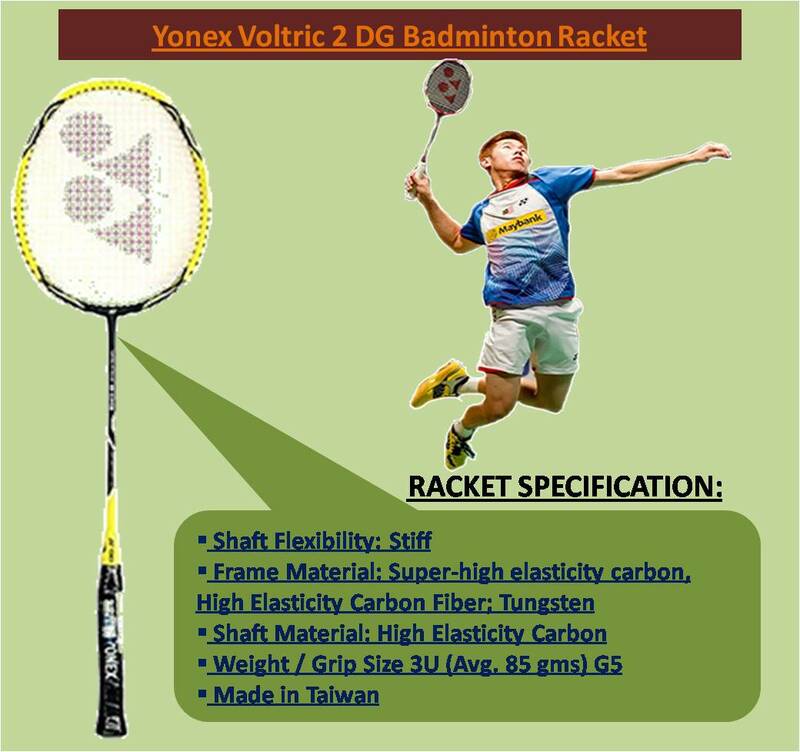 Enjoy the Game with Durable Grade Racket to sustain 30 Lbs String Tension: Yonex Voltric 2 Dg is new and latest launched by Yonex in year 2017.Developed with Try Voltage System , this racket will provide the opportunity to hit powerful forehand shots while on mid line player can dominate the ralliers with fast and quick drive shots. Further , Tri voltage system gives players two benefits. As it is a head heavy racket do its momentum is good during racket swing.Better movementum gives better power. Voltric 2 Dg frame is developed by considering the Aerodynamic and round edges are eliminated by shape side profile which enables swad like frame movement in air. Racket is manufactured with advanced material called as Nanometer DR. This material is normally used is aviation industry to achieve high strength with minimum possible weight. With Nanoketer DR, player will get maximum repulsion and strength. 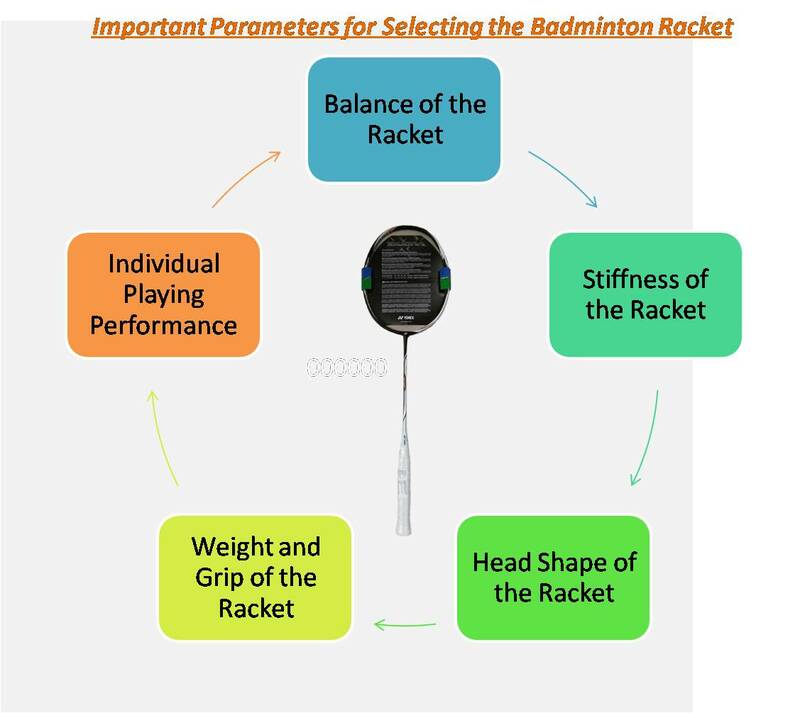 based on playing style player can select the Badminton Racket. Badminton as carrier option then he needs to carefully check the playing style. For serious player, proper guidance is also important for selecting the racket. stringing and string selection is important to get best performance from racket. 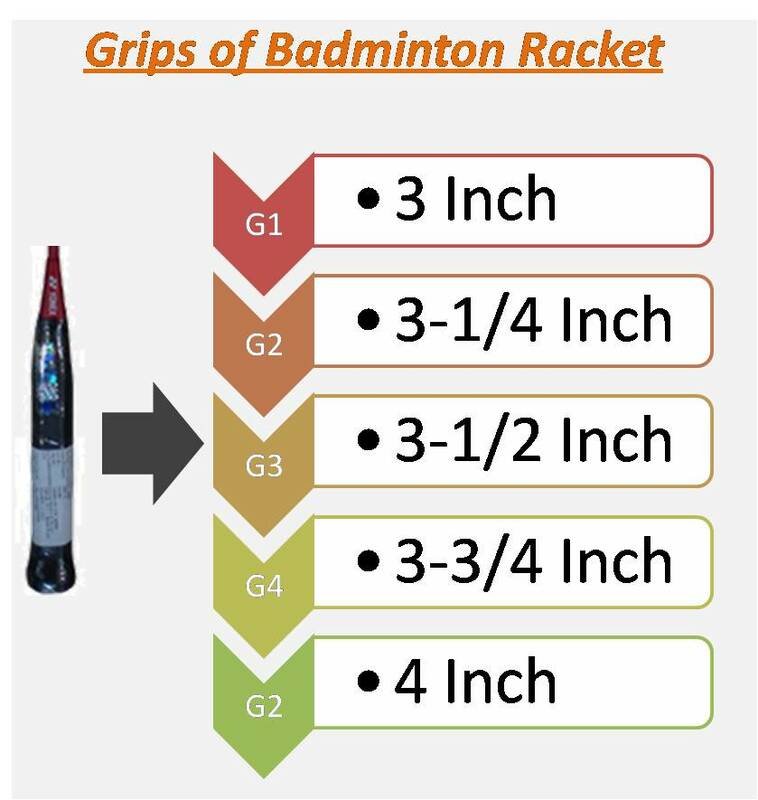 grips size impact the racket performance. 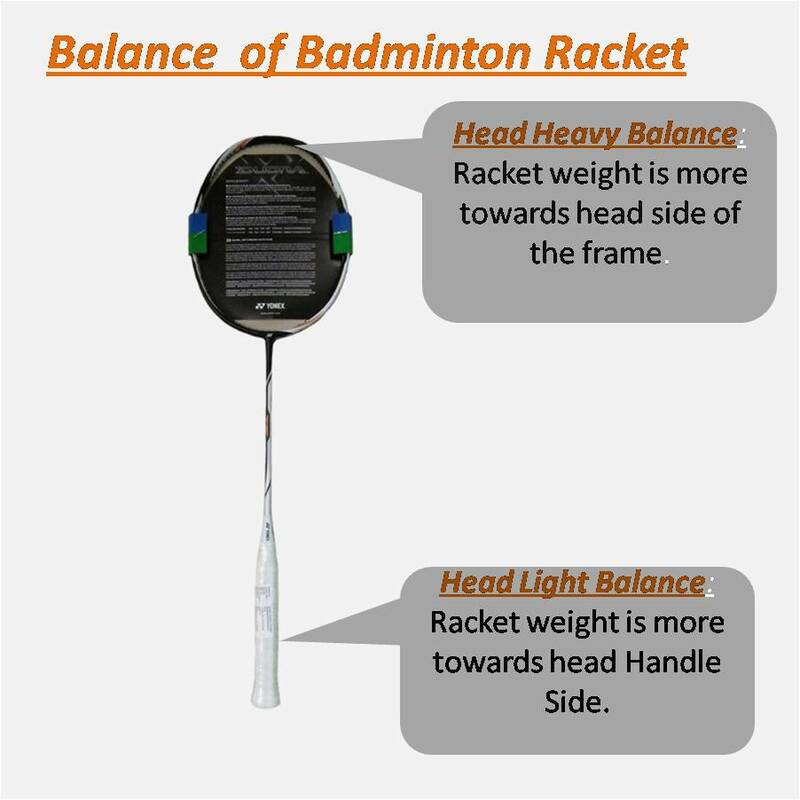 Head heavy balance refers to racket in which weight of the racket is more towards head side. 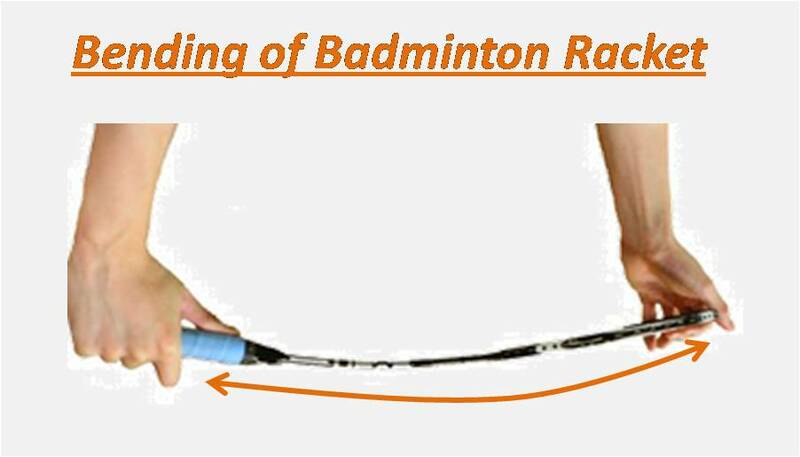 (Player can check the balance of racket by balancing racket on finger as shown in picture. If finger is close to head then it will be head heavy racket). Head light racket gives racket swing speed. Player who wants fast racket handling will like this type of balance. Add lightweight grip on handle. the shuttle for longer time thus doesn’t provide extended strength to shuttle. Quick repulsion is suitable for drive shots, quick return to opponents. As shaft of the racket flexible nature of shaft, it creates vibration on frame. Yonex used T Anchor technology to minimize the vibration in flexible shaft. 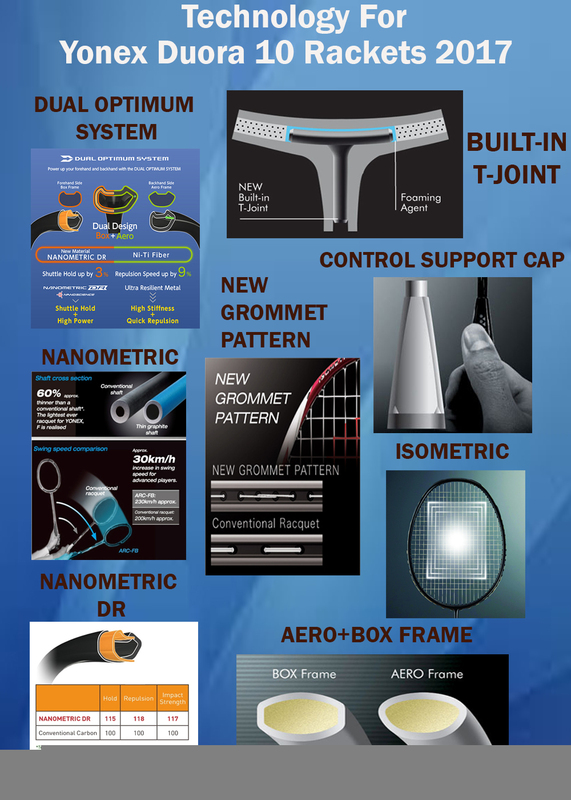 These new innovation helps in better racket characteristics. like to play with flexible shaft. Stiff shaft gives very less or stiff bending when shuttle hits the string bed. with more stability and direction control. With stiff shaft player gets stable head which results into less frame vibrations. placing quick return and fast drive shots. player gets more opportunities to hit off center shots. 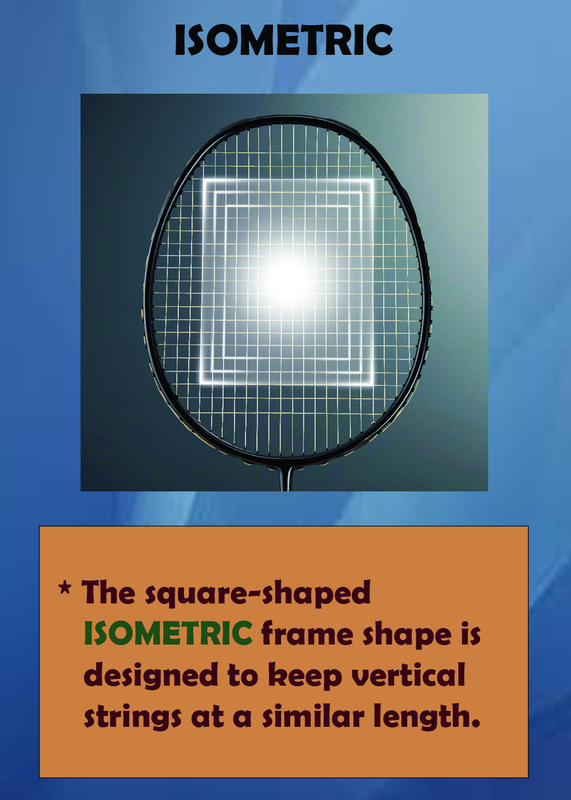 Isometric head shape offers best aerodynamic to racket frame. to hits off center shots with more power. Oval head shape gives fast racket swing speed. and 3600 are considered as feather light rackets. Grip and Grip sizes are important as player hold the racket from grip and handle. repulsion and suitable for attacking players. BG 66 Um gives Best repulsion power with soft feel. BG 65 gives soft feel and moderate repulsion. BG 70 Pro gives soft feel. So according to player’s individual need, player can select the string. 900 and Nanoray Z Speed and head light rackets and suitable for fast game play. gms) are considered as feather light rackets. 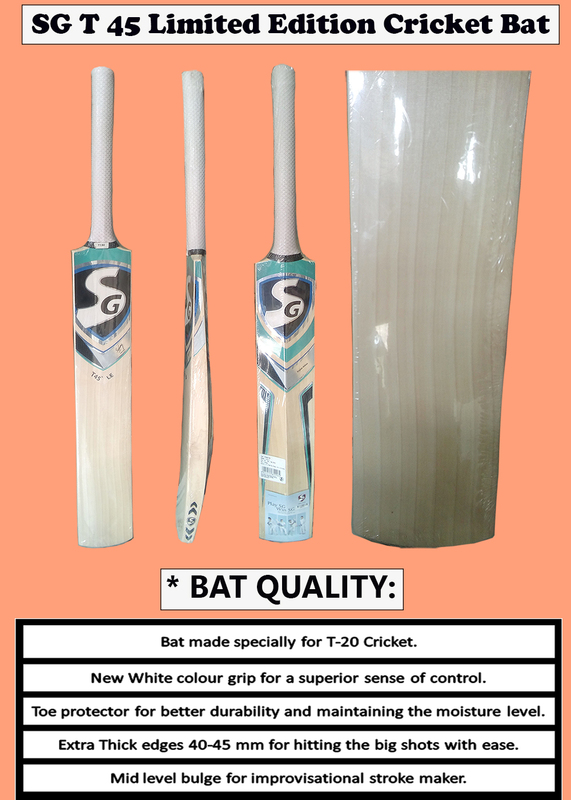 SG bats for professional players are best in class bat as they are manufactured by SG with traditional hand crafted bat making technique with innovative new features like Big Sweet Spot, Power Drive Handle, Big Edge, Rounded Face Profile. 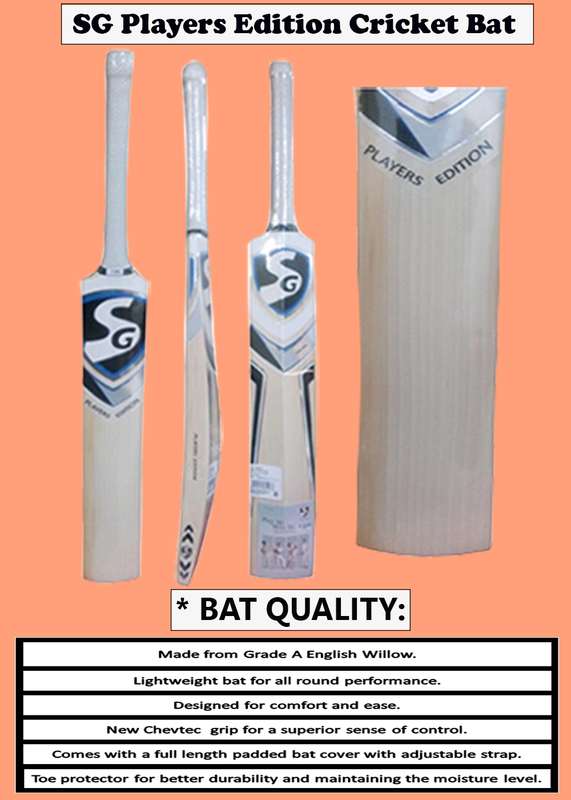 SG Bats are used by many Indian and international cricket players like Rahul Dravid , Sunil Gavaskar , Suresh Raina , cheteshwar pujara.SG bats and other cricket equipments are developed by tight quality control which gives best in class products every time. Further, SG professional bats are developed by selecting willow with hand selected technique and with traditional SG bat making process. 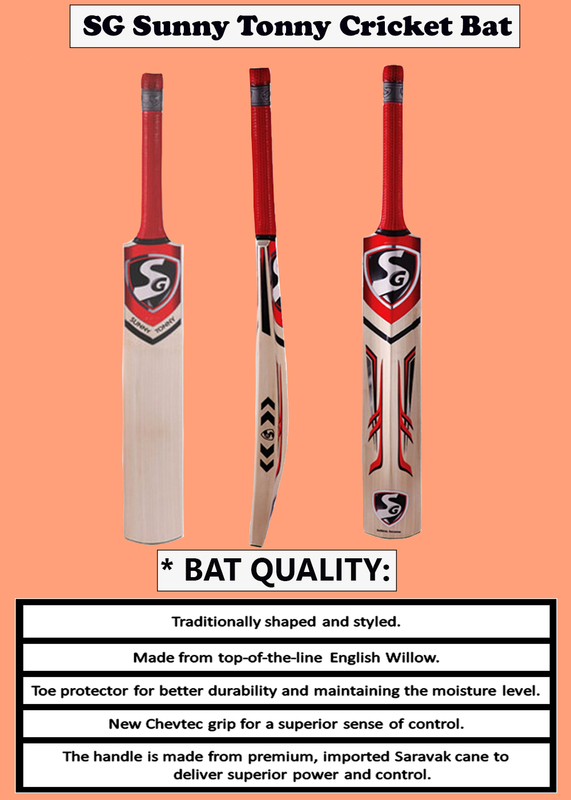 Each bat models are equipped with unique shape and profile. 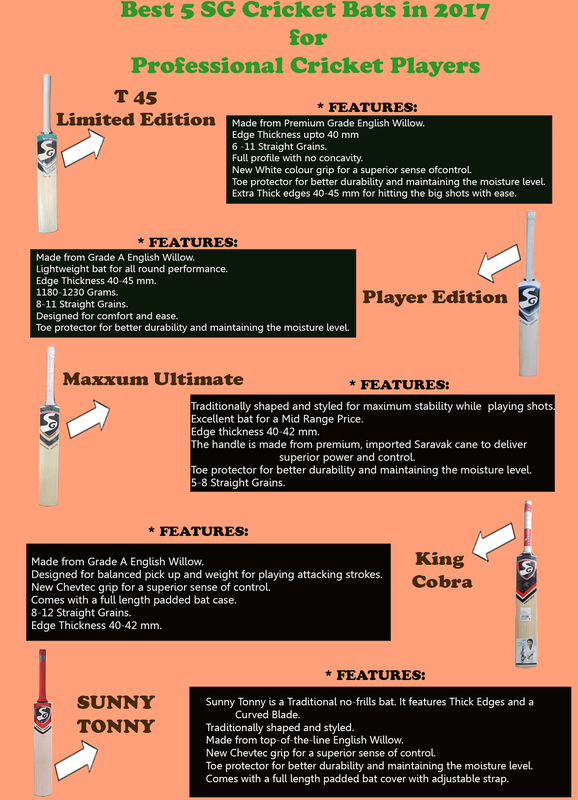 In this Blog we have listed best 5 SG Professional Cricket bats. 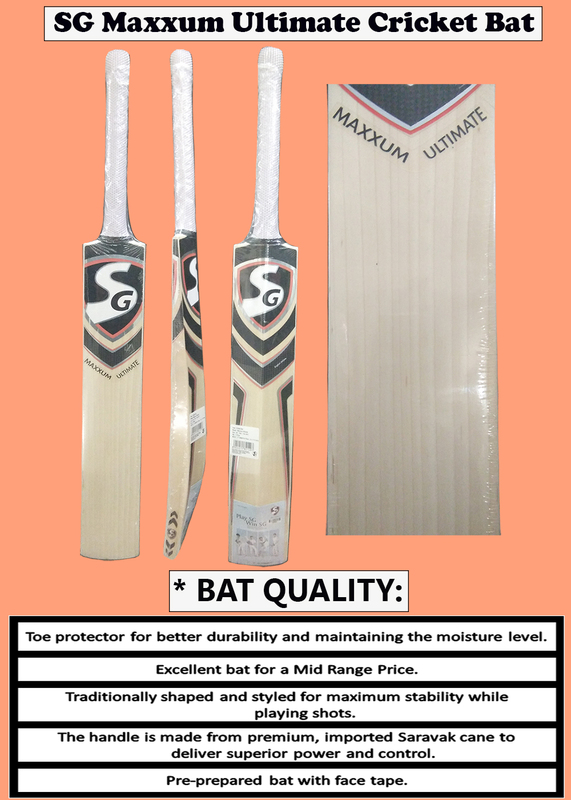 SG Maxxum Ultimate is latest 2017 launched bat SG Cricket. This bat is having mid to low sweet spot position with full back profile (Slightly concave to improve the balance.) Bat balance is good and looks good towards bottom side. Its edge thickness is around 42 mm. 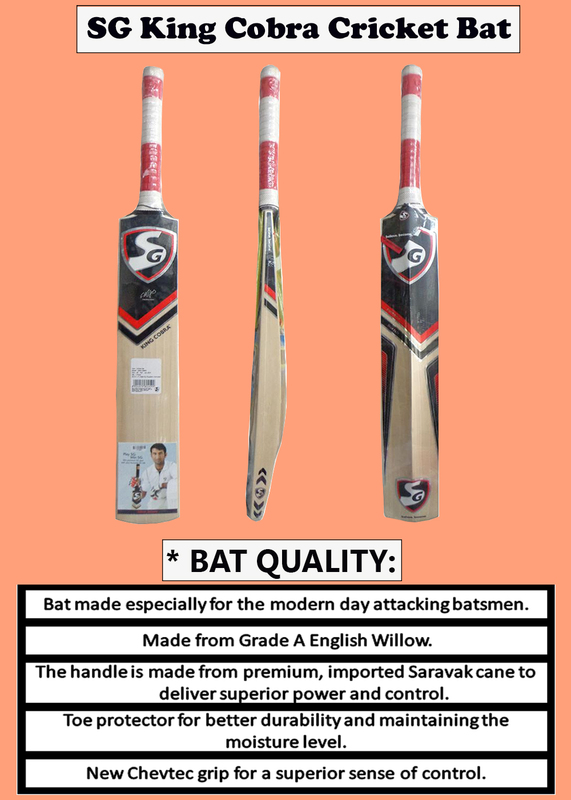 Bat is developed with grade 1 English Willow. With this price range and quality body features , SG Maxxum Ultimate is good option for those who wants to improve the game in attacking game style. It is a latest launched by SG however spine profile of bat is traditional. Bat shape and edge profile will suits the attacking game style. Further to give better feel and control, SG used Chevtec grip in this bat. Overall SG Maxxum Ultimate is suitable for professional player with attacking game style. Li Ning IDOL badminton shoes are launched by LI Ning in Year 2017. 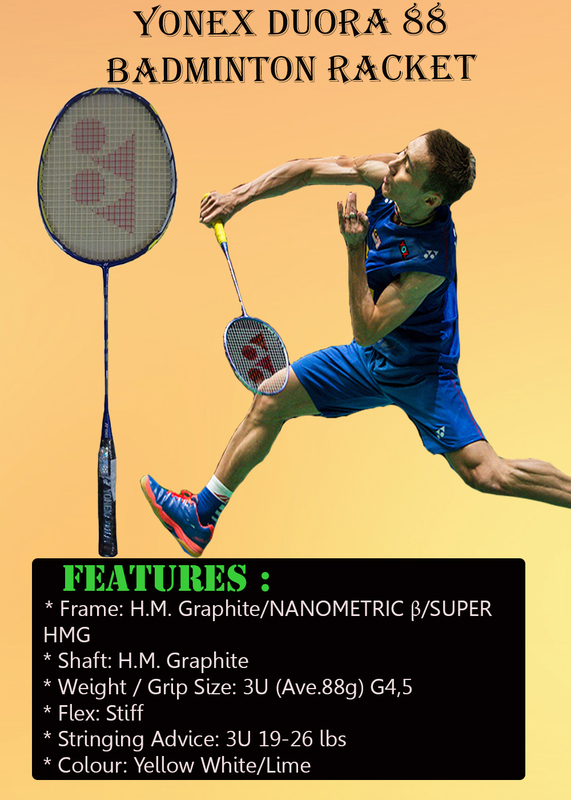 This model is developed for advance badminton Players with new features. Shoe design is traditional Li Ning Style with X on side which shoes signature li ning footwear design. This models in available in 3 different variants (All Three variants are available on Khelmart.com). 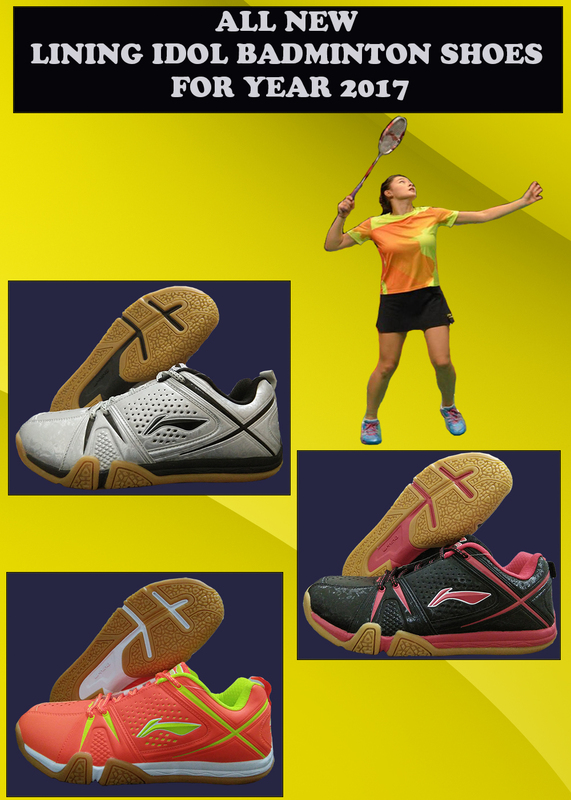 Shoe Design is new and it will defiantly liked by advance badminton players. Further to improve the overall shoe performance, Li Ning incorporated lots of new technologies. First variant in available in Silver base color while on top of that Black color graphics give a different look to shoes. Shoe upper material is advance PU which gives lightweight feel to player. 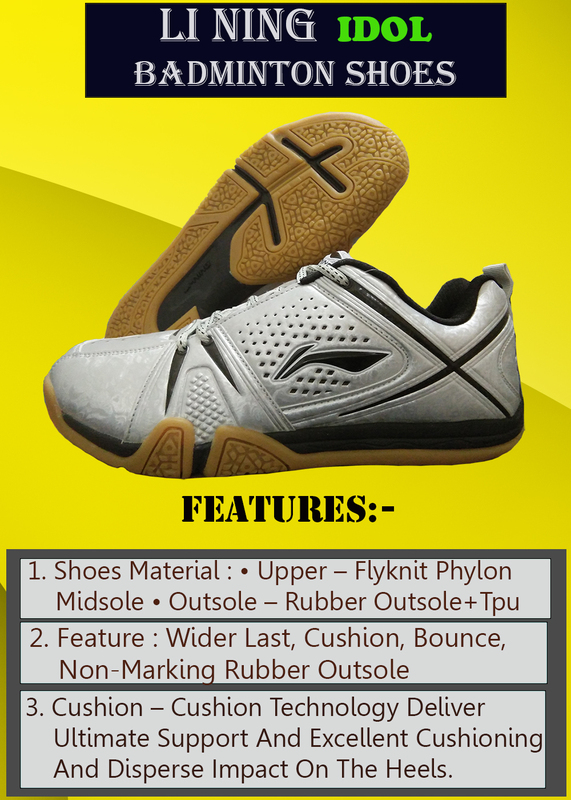 Midsole are made of Pylon – Rubber Outsole+Tpu which is a very good shock absorbing material. Pylon sole along with super power cushion will provide an integrated but flexible unit. Outer sole material is 100% rubber with unique groves patterns. In this shoe, base color is Orange while lime color lining gives unique color combination. Orange color is something which is specific to personal choice. Its thirds variant base color is black while red color Linings are provide on both side of the shoes. Li Ning used Special good quality polymer. This special polymer material is very soft but durable in nature. During impact, Its absorb the impact energy and releases it very slowly so that player get better feel. In this Li Ning used high rebound material at mid sole that player gets better propulsion which helps in effective footwork movement in court. 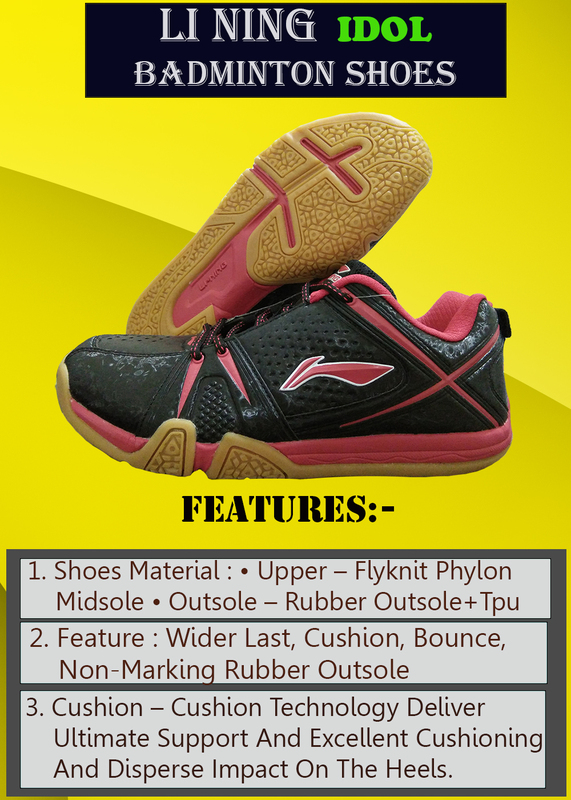 Overall, Li Ning IDOL shoes are attractive shoe with all new and improved features. Its design and shape with help in proper fitting. Advance super cushion system will help in better comfort and avoid injuries during intense game rallies. 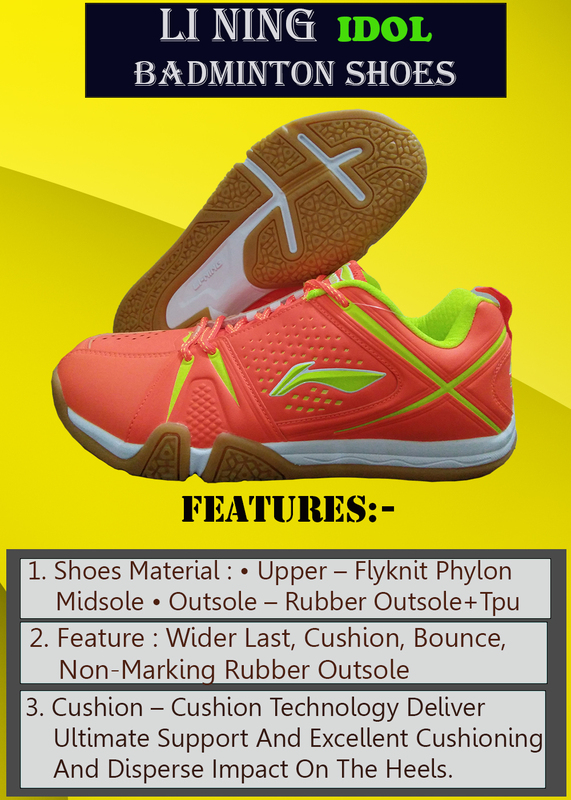 This badminton shoe is designed for advance badminton player who already tried basic version of Li Ning shoes Like Li Ning Play. With Aero Section Frame, Player will get improve aerodynamics of the racket frame which results into better racket swing speed. With Box Type of frame cross section, player will get rigid frame geometry which helps in better stability and repulsion of the racket. 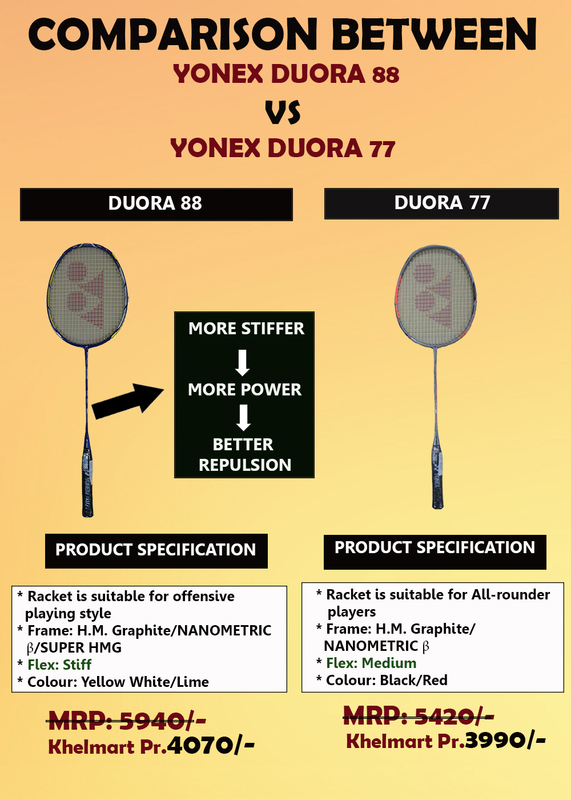 Yonex Duora 88 is higher on price range. It is 90 gms racket with G4 grip size. Frame of racket is made of HM Graphite, Nanometer and B/Super material. Duora 88 racket comes in White -Lime color. Cover of Duora 77 and 88 are same. Flex of racket is stiff. 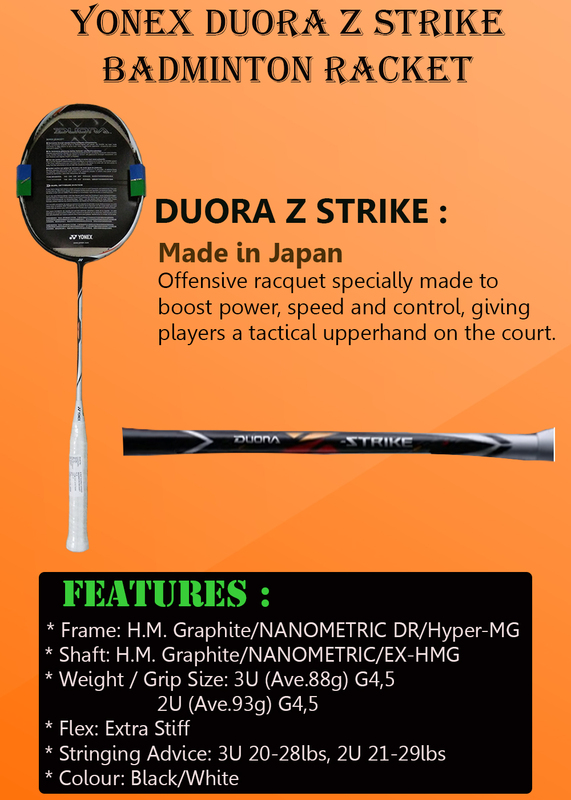 With Dual optimum frame, Duora 88 is very nice racket for those who want to play attacking game. Price of Duora 77 is less as compared to Duora 88. It is also comes in 90 gms weight with G4 grip size. Frame of racket is made of HM Graphite, Nanometer and B/Super material. Duora 88 racket comes in Black – Red e color. While all other parameters are same of both the racket the key difference in both the rackets are its flex. Duora 88 is stiff configured while Duora 77 is medium Flex racket. Player who wants attacking playing style will definitely like Duora 88 while players who want all round type of playing style will like Duora 77. Duora 88 racket is equipped with stiff shaft. With stiff shaft player will get better repulsion and extra power on smashes. Energy transfer from racket to shuttle is also better in stiff shaft. With these details we can say the Duora 88 is suitable for attacking game style. Duora 77 is equipped with medium flex shaft. With medium Flex, player will get optimum repulsion which is suitable for all round type of game style. Color of both the rackets are different and it’s depends on personal choice of the players. Price of Duora 88 is more so player who wants attacking game style need to spend more. Yonex is marketing Duora 10 is breakthrough design concept which is true in different ways. 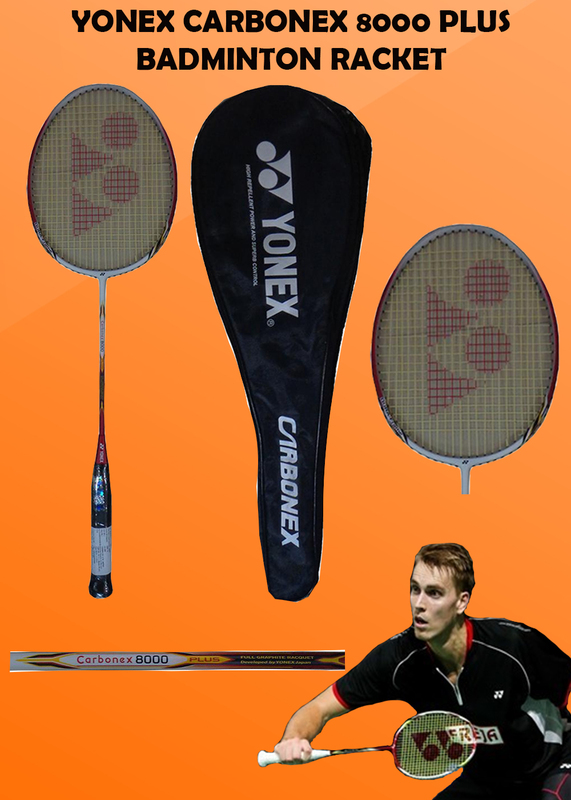 Yonex first time used the different cross section shapes for either sides of the frame. 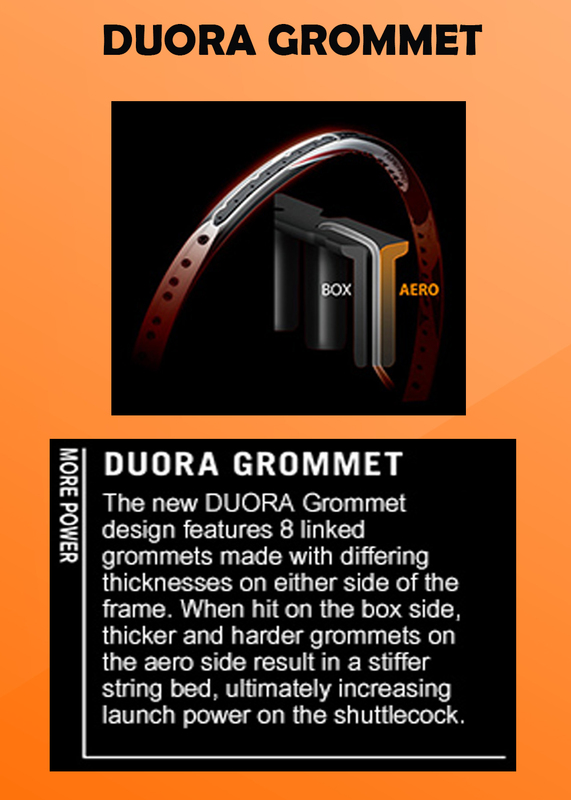 This is unique frame design concept which is visualized and developed first time by YONEX in Duora series of rackets. Previously in single racket only box or aero type of cross section is possible. Each type of cross section is having unique characteristics. Box type of cross section gives more strength and control flex. With Box type of frame cross section player will get more power on shots. Player will get optimize shuttle hold on string bed which enable smooth directional control of shuttle. Aero type of cross section gives better aero dynamics of racket frame hence results into quick racket swing speed. With improved racket swing speed player get better resolution and quick response from racket. 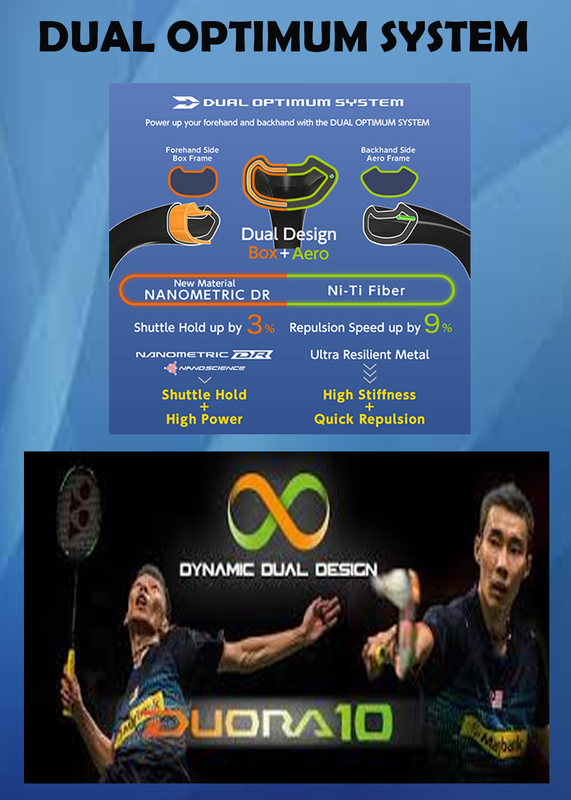 It is dual optimum frame technology based racket developed by Yonex Japan. In dual optimum frame concept, two cross sections are combined in single racket frame to obtain difference playing characteristics from either side of the racket. Its frame material is HM Graphite , NANOMETRIC DR, Ni-Ti Fiber. Shaft material is HM Graphite, NANOMETRIC. It is available in Green and Orange Color while weight of the racket is 88 gms with G4 grip size. Its base color is black on which green & orange color graphics are provided. Color and graphics is new and total innovative which suits its design concepts. It comes along with new racket cover (In Black with trademark Duora series Logo). Overall, player with Duora 10 in hand will feel difference in style and look. Player who already tried Z force 2 or any head heavy racket will feel some power loss when try to hit shuttle deep in the court. Duora 10 is not head heavy. You need to put extra power to clear the shuttle while on smash it is difficult to manage the power as compared to Voltric series of racket. With comparison to Nanoray Z speed , hitting power in good enough to dominate opponent. The main strength of the racket is its defense. With Aero Side of frame, player will get more opportunities to make versatile shots. Its shaft is flexible, swing speed is good while it’s a lightweight racket. With these 3 qualities ,player will get upper hand in making quick drive shots , quick return shots, player can adjust the racket at last time to surprise the opponent. As it is a lightweight and fast swing racket so player will get more opportunities to place better cut and drives. Further, with is flexible shaft, you can place sharp angled drop shots. Performance on net area is very good when we tired at court. No doubt, it is better than Voltric Z force 2 on net area. Better for all round type of Game. Defense and performance on net area is key strength of Duora 10. With Fast swing and quick repulsion player will get better hold on drives, cut and shape angle shots. On smash power, Z force 2 is better than Duora 10. Duora 10 is better than Nanoray Z speed on smash Power. 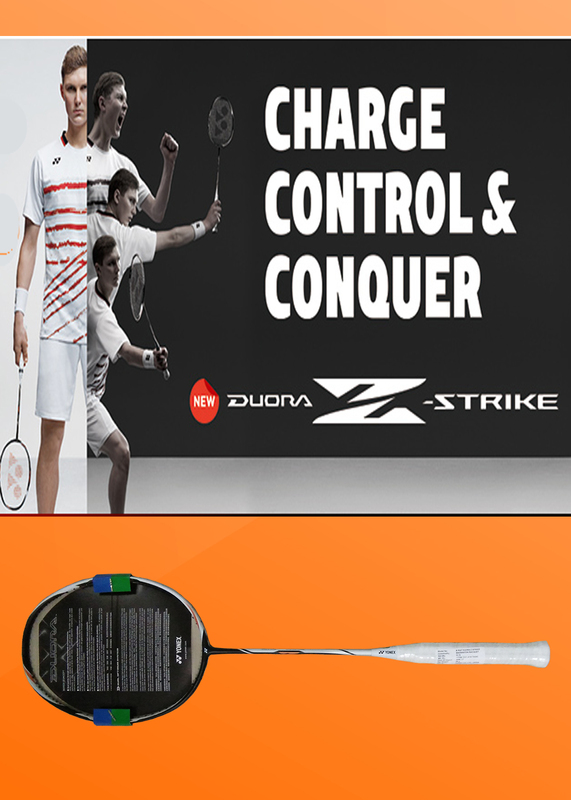 Z strike is Stiff Racket which gives extreme power on shots. When we tried racket with Box side then with less power shuttle is able to clear the line. Player who faces difficulties in handling stiff shaft may face some issues in handling the racket. Overall, from 3rd line racket performed very well. Difference of Hyper MG graphite material is something which we observed when tried drive shots. With very quick time span we are able to drive shuttle into opponent court with more accuracy. Player can try, Aero side frame section better results. Z Strike is not head heavy racket but it gives more power when player will try Box side of frame. 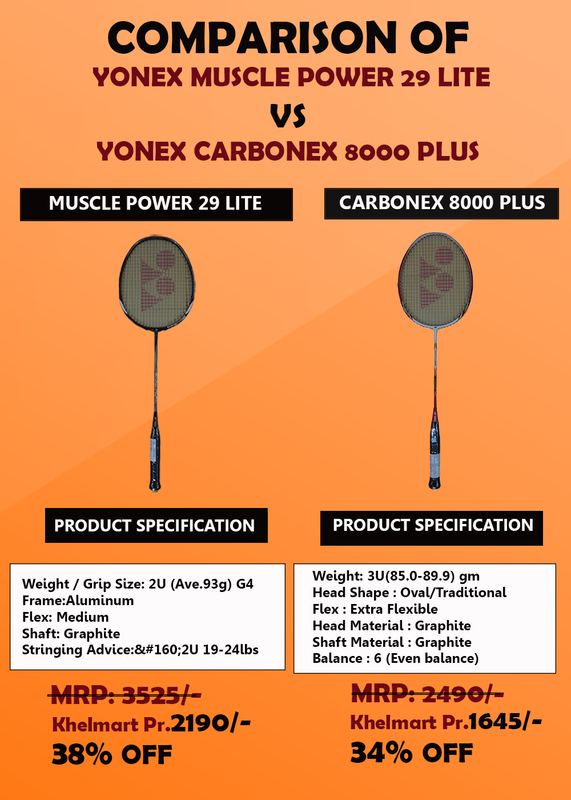 We have received lots of request on a comparison between Yonex Muscle Power 29 Lite Vs Carbonex 8000 Plus as players are always confused on which racket to purchase as per game need. In this blog we shall try to explain the different in two rackets and which racket is suitable for unique playing style. Suitable for stoke making players , or player who wants to test opponents on 3rd line of court. Racket head shape is Isometric which gives large sweet spot area enables player to play shots freely. With large sweet spot , player will get maximum power in shots even if shuttle hits off center to string bed. MP 29 lite racket will be suitable for player who wants incredible power in smashes and 3rd line shots. Player with attacking game style will like this racket. Racket weight is around 85 gms. 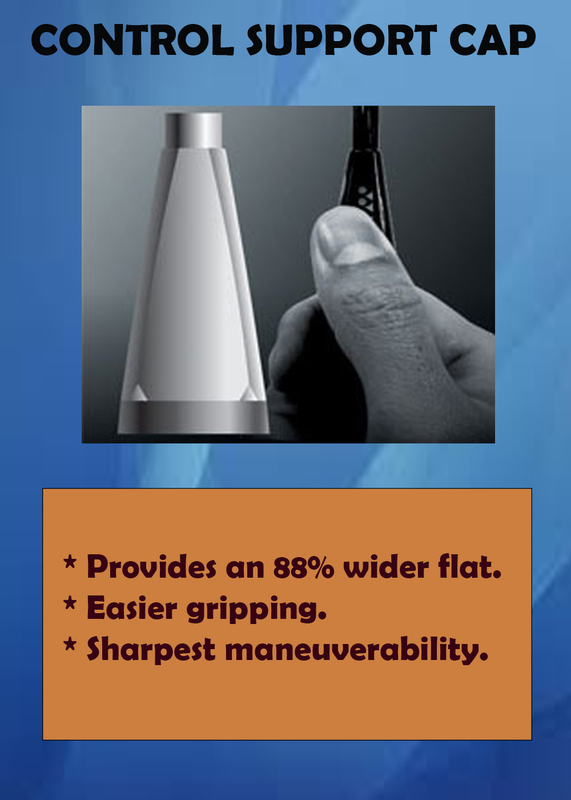 It is made of full graphite material which gives best racket playing characteristics for mid range racket. Cab 8000 plus is another top selling model in Yonex mid range racket. Player with all round type of playing style will like this racket most. Following are the key characteristics of the Cab 8000 plus rackets. Suitable for All round type game play. 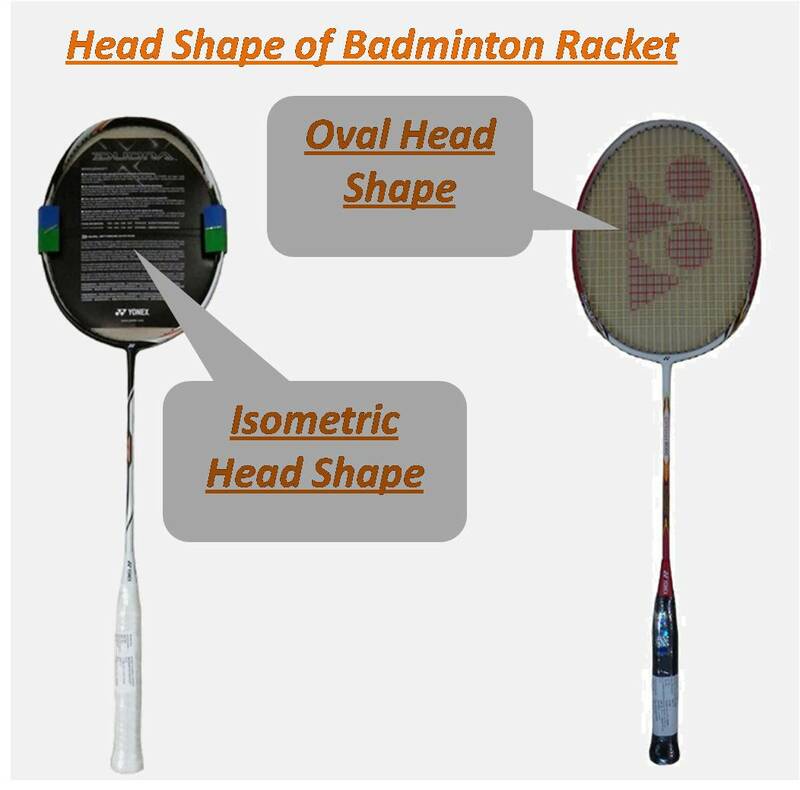 Head shape of the racket is oval. Oval shape head offers best racket frame aerodynamics. With improved aerodynamics , player will get maximum racket head swing speed. With fast racket swing speed player can perform better drive shots , fast drop shots, deceptive smashes. Racket weight is around 85 gms while it is made from graphite material. We suggest that player first need to identify the playing style of individual and then decide which model can be picked up. Players who wants attacking game style will like MP 29 lite while player who wants all round type of game style can pick up the Cab 8000 plus. Both the rackets are best selling models but player need see the playing style before take any decision. 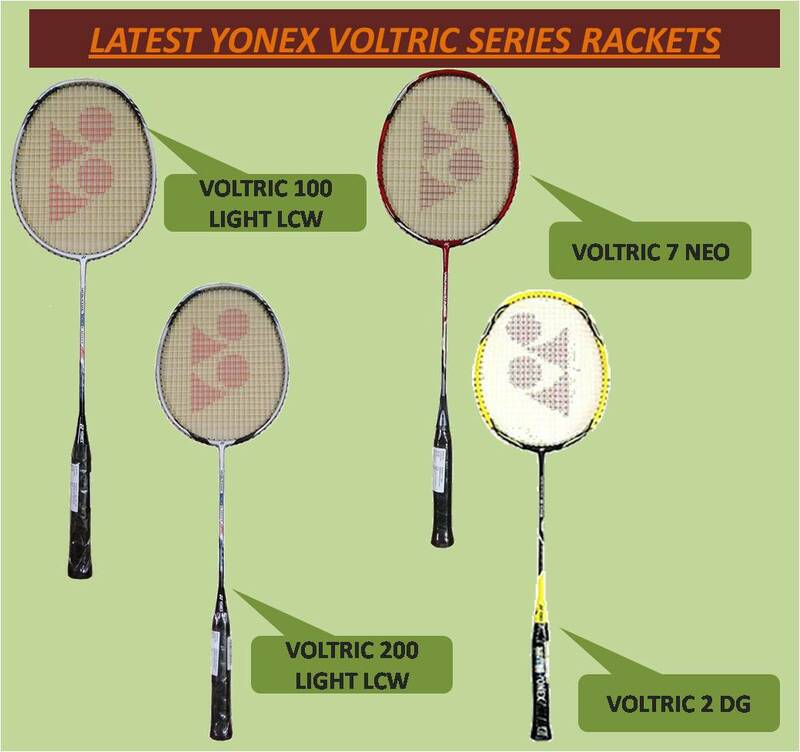 Yonex Voltric 1 Ld is very popular model in Yonex Voltric series due to its price and racket characteristics. This racket is available in 85 to 89 gms of weight which gives medium weight racket feel. It is made of full graphite and tungsten material. Racket shaft is made of graphite which gives flexible feel to player for better control and attacking game style. Color graphics of both the rackets are same. Bright red color will be suitable for those players who need aggressive look while white color is suitable for those who want sober colors. 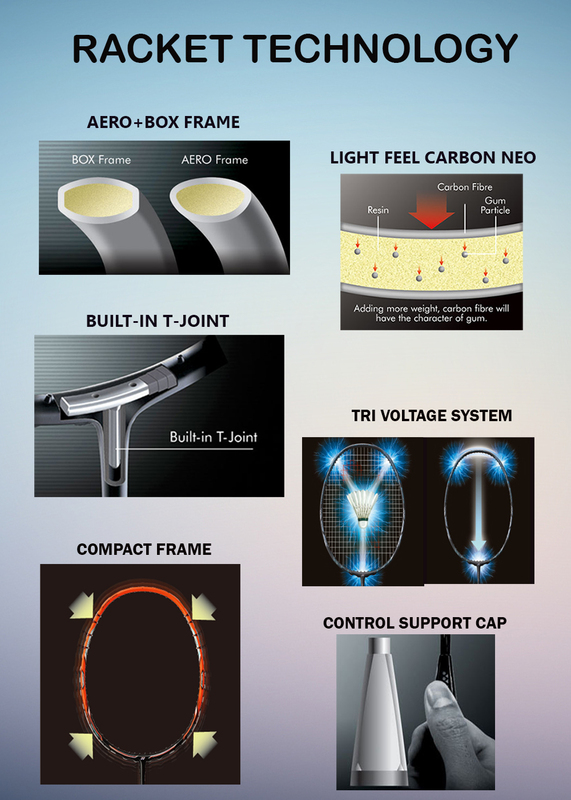 Tri Voltage System Gives Powerful racket smashes: Voltric series is head heavy series as per Yonex design. Head heavy series rackets generate tremendous power on smashes as it leads to give more momentum. 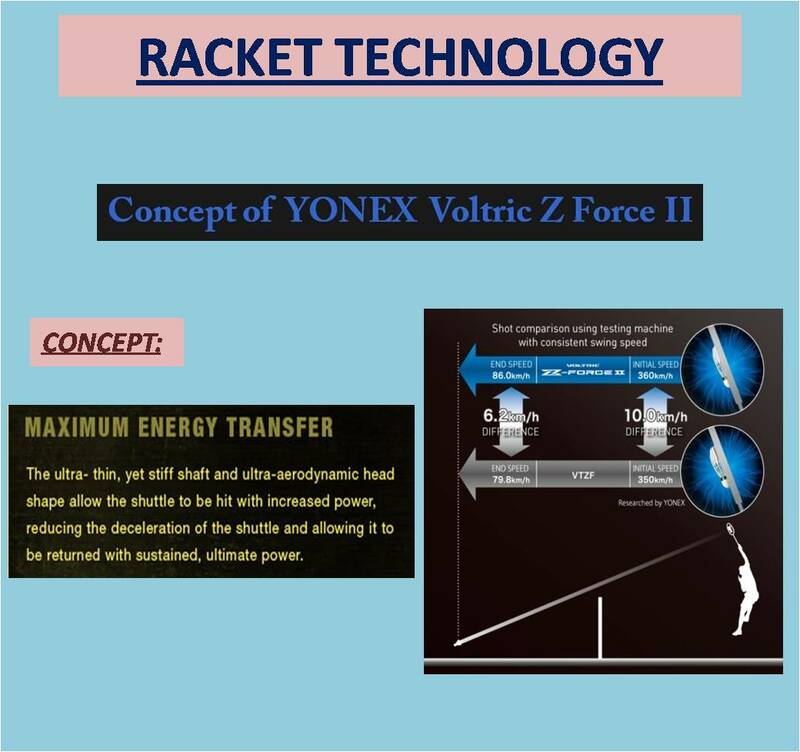 Further, to improve the head heavy racket characteristics, Yonex used stiff material at racket head which result into optimized shuttle hold time at string bed. By using stiff material at racket head, now player will get better power and control on shots. 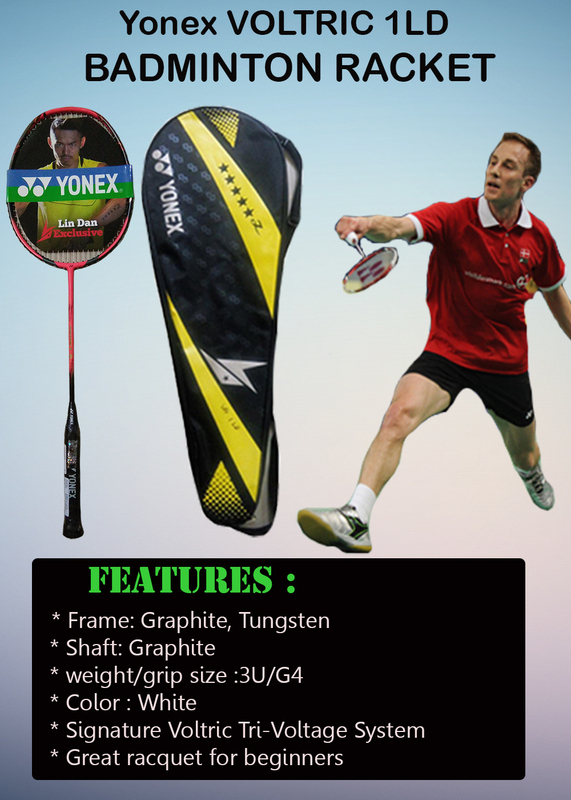 Yonex further improve the racket characteristics by making thin racket frame side. This improves the racket flex and help in transferring the more energy into shuttle. With more energy transfer, badminton player will get maximum power on shots. Tri Voltage System Gives Speedy Racket handling: In order to balance the head heavy effect of racket, Yonex first time used the very thin and aerodynamically shape side at frame head. This type of aerodynamically designed racket head side offers fast racket swing speed by which player gets quick racket response which helps in placing fast drive shots, quick corner smashes and quick response to opponent drives. 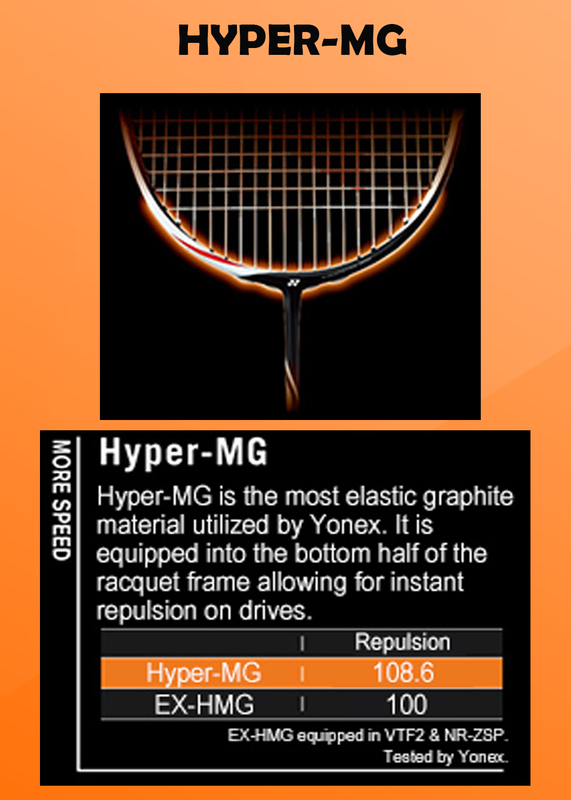 YONEX Compact Frame: We all know that Air resistance is unwanted parameter in racket swing speed. More Air resistance means less swing speed. 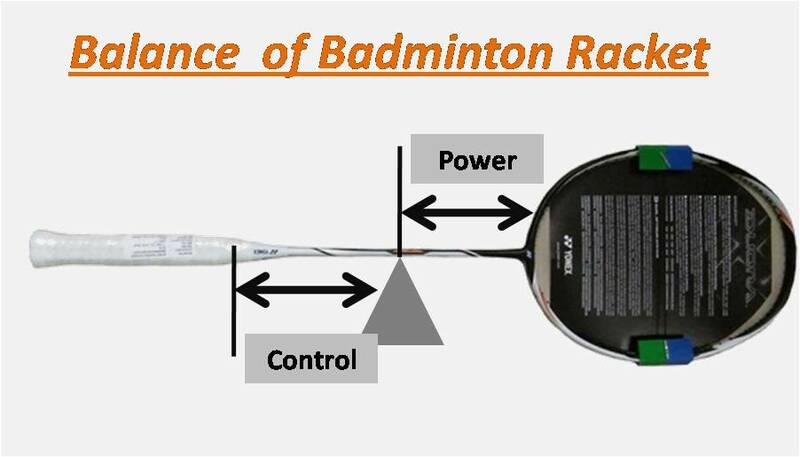 Further, if racket frame size is more than its more racket area will come into contact of air thus more air resistance will affect the racket swing speed. 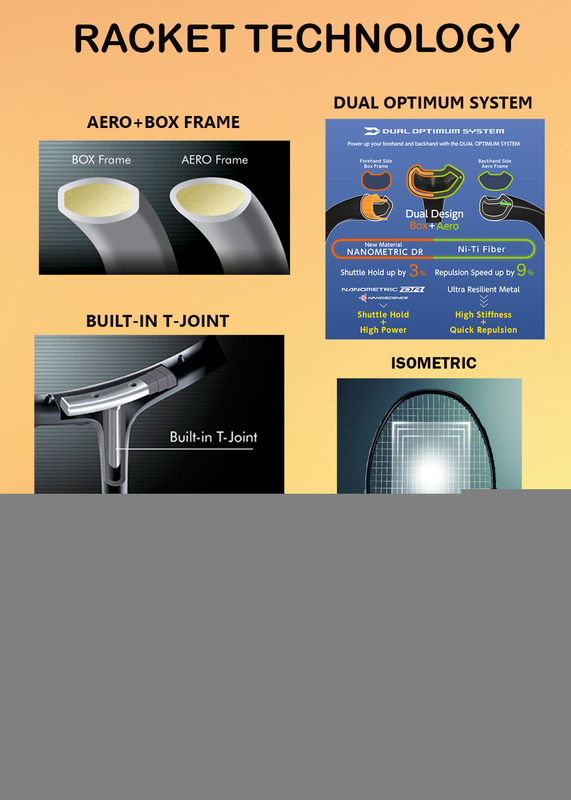 Yonex research team identifies this and developed the frame which is compact in nature. Compact frame will helps in better aerodynamics of the racket results into fast racket handling. Built in T Joint (More joint rigidity): Joint of any device is a weaker part and its affect the overall dynamic of the device. 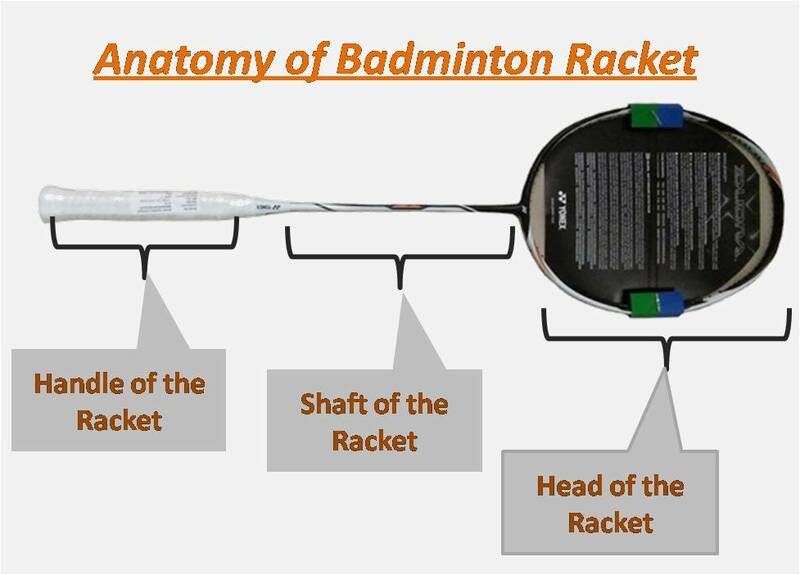 In Racket T joint is a weaker part and its affect the racket stability when shuttle hits the string bed. During shuttle impact on string bed, forces are transfer to T joint and if joint is weak in nature then it could cause direction instability of shuttle. Yonex identified this problem and developed built in T Joint. 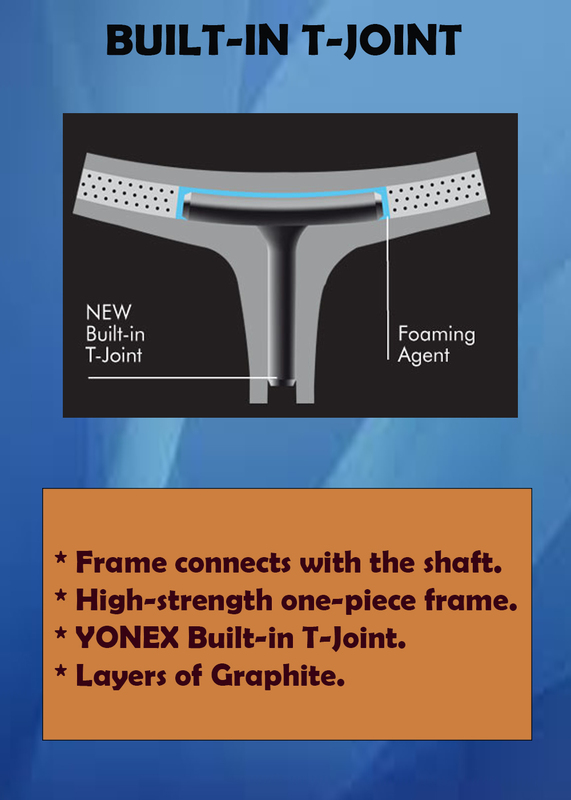 Yonex used Molded deep into the layers of graphite which gives joint free section and provide more rigid racket. It is a head heavy racket so player will feel more power during 3rd line shot clear. Racket sound is good and attracts us on court. With very less power we can able to place shuttle into opponent’s 3rd line thanks for Tri Voltage System. Player who wants to test the opponents into 3rd line shots will definitely love to play with Voltric 1 ld. As it is a head heavy racket so we faced some difficulties in controlling the shuttle at net area but that is very marginal (Yonex putted aero dynamic frame concept to improve the swing speed). After spending 1 hr time we could able to judge the racket handling at net area and finally able to get the right timing. So finally, it’s performed well on net area. Player who already tried Muscle Power or carbonex series racket can face some difficulties initially to get the right timing. In comparison to carbonex, its response is little sluggish but if you spend some time on court then you will get your timing back. After spending good time in court you will love this racket. Voltric 1 Ld is good option for those players who wants attacking game style with good skills on net and dive shots. In our test, Racket performed well on net area and drive shots. Player needs to do some adjustment in timing if you already using muscle power or Carbonex Series rackets.